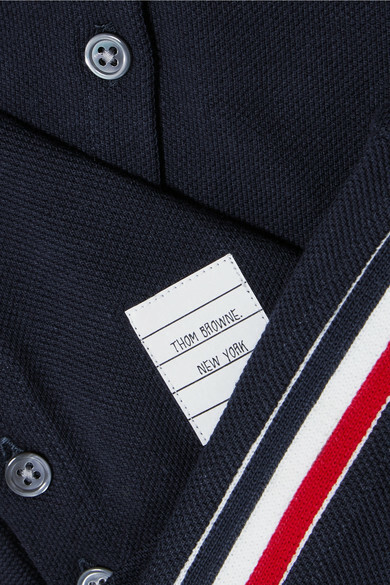 Thom Browne came up with the label's striped logo when he was visiting a tailor in New York. 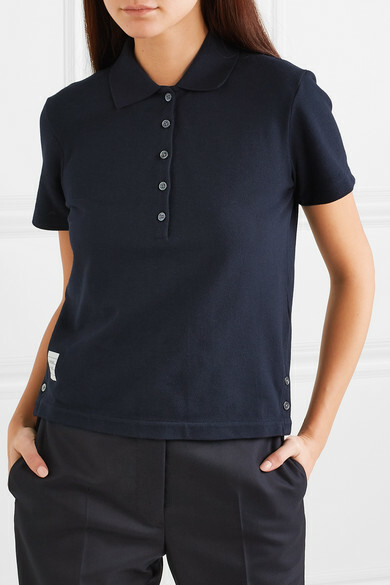 Made in Italy from cotton-piqué, this polo shirt is decorated with elegant mother-of-pearl buttons and has the signature tricolor stripes running through the back. 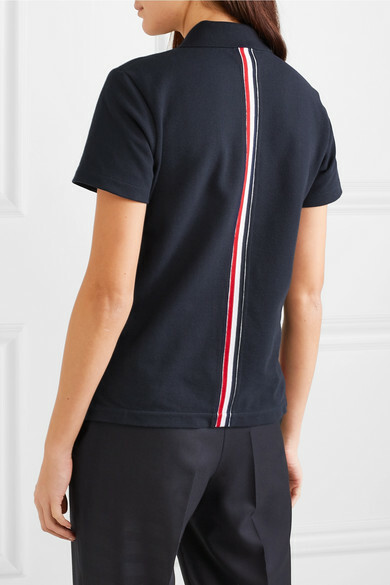 It's cut slightly shorter at the front with side slits, making it easy to tuck into tailored pants. 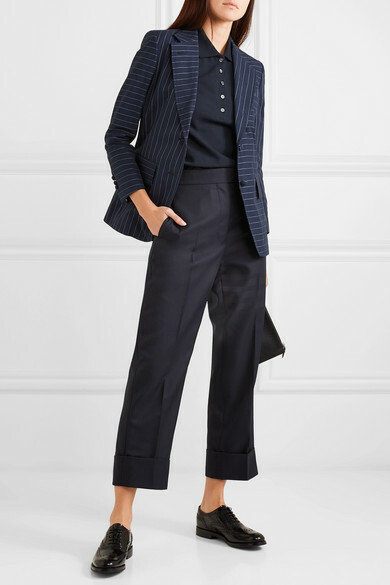 Shown here with: Thom Browne Blazer, Thom Browne Pants, Givenchy Clutch, Church's Brogues.